More evidence pertaining to Apple's plastic iPhone 5C has surfaced recently in the form of none other than protective cases. 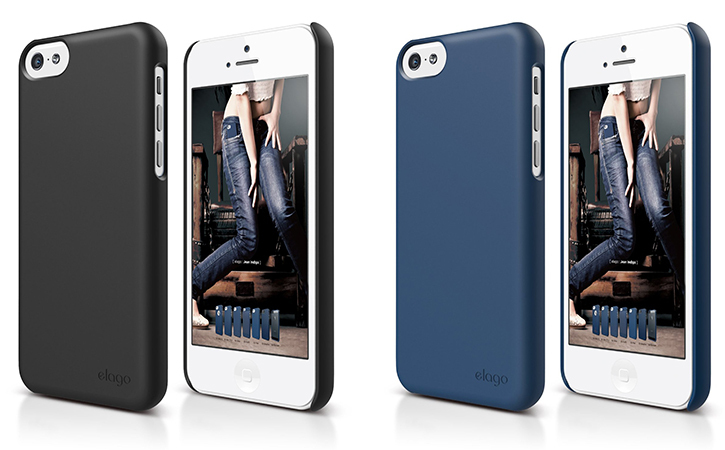 Elago seems to be one of the few first case manufacturers to release cases for the yet-to-be-announced iPhone 5C. The company's new $11 S5C Slim Fit 2 case is a simple but well rounded snap-on plastic case that looks like it'll hug the iPhone 5C's rounded body with a form fit and lots of matte, soft-touch grippy finish goodness. It isn't the first time cases for Apple products found themselves being sold ahead of time based on official hardware specifications, and it usually means that a particular secretive Apple product is right around the corner. Our new S5C Slim Fit 2 case for the iPhone 5C lets you protect and cover your phone in style! The case was molded to fit perfectly and allows easy, full access to all buttons and ports on your device. Our Slim Fit 2 cases are specially coated to reduce the amount of scratches, oil, and dirt residue left on your phone, all while improving grip quality. Ultra slim, lightweight case offers corner and scratch protection, as well as a slight lift to allow your iPhone 5C to be put screen-side down on a flat surface. Elago's S5C Slim Fit 2 case is available to be ordered now, but will only be in stock on August 26 which may or may not mean that Apple's highly anticipated plastic-made iPhone 5C and iPhone 5S handsets will be announced sooner that we had thought. Another slew of iPhone 5C cases made by a brand called Obliq are all shipping right now at bargain prices. But we obviously don't know if either of these cases will actually fit properly when the time comes and you get your hands all over that plastic iPhone.